An easily made paper scale enables you to assign dimensions to your drawing and make the leap from a small, freehand sketch to a full-scale mock-up. IThe first dimension. Assign a measurement to one dimension; the author decided the screen would be 60 in. tall. Tick off the top and bottom of the piece, and the distance between them will represent 60 in. 2 Fold, crease, mark. Fold the scale so that the first two tick marks meet. Then tick the crease halfway between them-it will equal 30 in. Keep on ticking. Continue folding the scale in half and marking the creases. 4 Rough sketch gets real dimensions. Once the scale has been marked, it can be used to measure any part of the screen. you don'l draw to scale or in accurate perspective, how do you turn a small, rough sketch into something you can build from? 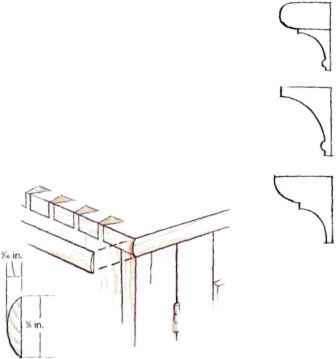 While a student of .lames Krenov's at the College of the Redwoods, 1 learned to use a simple homemade scale to assign dimensions to a concept sketch. 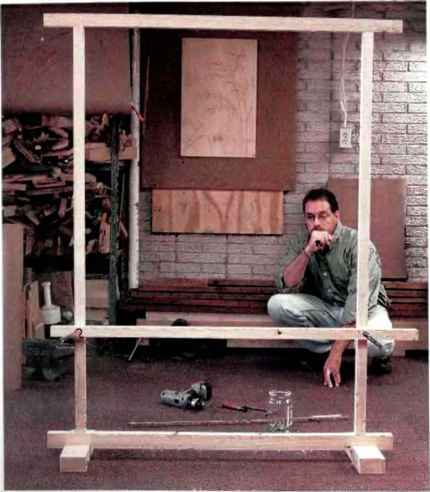 SIZING UP THE FRAME- Before determining any of the details, the author considers the overall proportions of the screen and the placement of the crossbar. would equal 60 in. I folded the paper in halfwith the pencil marks touching, creating a crease halfway between the marks that equaled 30 in. 1 made a tick mark at the crease. 1 folded the scale in half again and again until it was folded up like a.lapanese fan. 1 put tick marks and the appropriate number of inches at each of the folds, and the scale was ready to use. Holding the scale horizontally across the sketch, 1 used it to measure the width of the screen. Such a scale can be used to determine most all the dimensions of a sketch. Once 1 have dimensions on my drawing, you might expect that I'd make a dimensioned shop drawing. Instead, 1 move at this point directly to making a mock-up ofthe piece. Making a mock-up is one ofthe most helpful steps along the path ofbuilding a piece of fijrrhuue. A fall-sized mock-up allows me to see the object in three dimensions and to make informed decisions regarding proportions and size. A full-sized drawing of a piece doesn't give me anything like the impact of a mock-up. It also locks me into decisions on detailing before I'm ready. 1 generally don't make a scale model, either, because it doesn't provide the sense of physical presence that a mock-up does. My mock-ups aren't built to last. 1 use common materials (for the screen 1 used 2x stock for the frame and kraft paper for the panels) and the quickest possible joinery (drywall screws, brads). 1 want a mock-up to be as simple as possible to make and easily modified again and again until I'm comfortable with the design. 1 probably spent about an hour and a halfbuilding the screen mock-up. The less time it takes to build one, the more inclined I'll be to alter something I don't like. And that's the whole point of a mock-up. 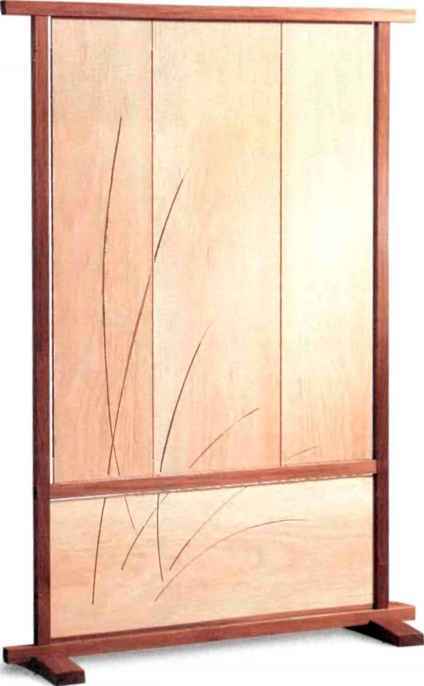 I use my first mock-up, like my first sketches, to determine the overall shape and proportions of a piece. When I had the first mock-up of the screen in front of me, ] saw that it was far wider than it appeared in the sketch. What had looked nicely balanced on paper was somewhat clumsy in three dimensions and full size. 1 made decisions regarding the overall width of the screen (I decided it needed narrowing), the thickness oflhe lower rail (it needed thinning), and the way the feet relate to the rest oflhe screen (diey needed to be less clunky). Implementing such changes is easy. I don't need a second mock-up; 1 simply unscrew the first one (or unclamp it if] haven't yet driven the screws) and use the chopsaw to shorten some members and the handsaw to shave a bit off the elements that look too heavy. With the handsaw, I'm not measuring and taking off specific amounts, just taking off enough to make a difference visually 1 generally start with all oflhe parts a little oversized and work down from there. I had roughed out a few extra blanks for feet, and 1 quickly cut out a couple of new possibilities on the handsaw. 1 put two different feet on the mock-up to compare likely candidates. When 1 finish a mock-up, I take it into the house and live with it a while. 1 place it so it's the first thing I see when I walk into the room. Over the next few days, 1 try to let it surprise me when 1 enter the room. The first impression 1 have oflhe proportions is telling. It's not a life-changing moment of clarity. It's usually just a quick thought like, "It's too tall," or "The feet are too fat." I pay attention to these impressions, because they are uncluttered by logic, analysis, formulas, and so on. Everyone has such responses, but it may lake some coaxing to get yourselfto trust them. The new proportions may result in the need to fiddle with the dimensions of other parts, but the mock-up is definitely making headway. 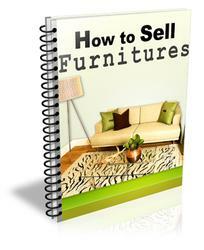 Overall, 1 find that a mock-up provides an enjoyable and reassuring way to develop and refine a design. The screen's panels provide a wonderful canvas for the free-flowing type of carving 1 do. To design a carving, I use sketching techniques very similar to those used to design the screen itself. I start small, drawing on the panels of my thumbnail sketch of the screen. Working small helps me see the carving design as a whole and keeps me from getting bogged down in details. Once I have an idea that works well with the screen design, I begin sketching full scale. 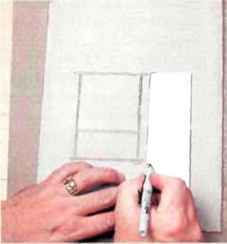 1 use kraft or butcher's paper from a wide roll to make the drawing. I'll prop up a piece of plywood and tape the paper to it so that 1 can draw while standing. 1 keep the small sketch nearby for reference as 1 work full size. GET ME OUT OF THE SHOP. 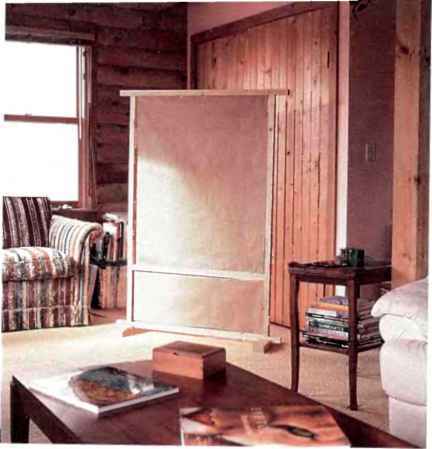 Placing a mock-up in a room for a few days can help clarify the design's strengths and weaknesses. it almost flat under my palm. This produces a wider, bolder line and permits my arm and hand to move in comfortable arcs, creating graceful lines more easily. I pin the finished sketch to the mock-up so I can stand back and see it framed in the screen. Sometimes after seeing it in place, I make changes to the drawing to create a better sense ofbalance with the screen. Once I'm satisfied with the sketch, I'll lay out the real panels in the order they'll take in the screen and transfer the design to the panels with carbon paper. Then the carving can begin. One important general tip on carving design: Resist the urge to fill the whole space. Leaving some space uncarved can significantly increase the impact of the carving. Particularly when you are working a large surface in this style of chip carving, the old maxim applies: Less really is more. CRAIG VANDALL STEVENS lives and works wood in Sunbury. Ohio. TO THE BIG BOARD. 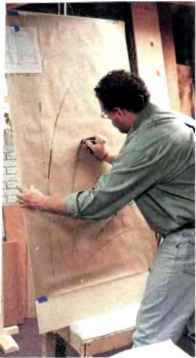 A piece of plywood propped on a chair (another old mock-up) serves as an easel for sketching the carving design. The author uses a fat pencil to produce a flowing line. THE FINISHED PIECE. The author developed the screen's pleasing proportions, careful detailing, and calm presence without benefit of elaborate shop drawings.